Will it be a Gozo route to Parliament for Delia? Nationalist Party MP Frederick Azzopardi. Adrian Delia will be exploring the Gozitan avenue to make it into Parliament when he meets Nationalist Party MP Frederick Azzopardi today. The PN leader will address party members at the Sannat sub-headquarters this evening but was also expected to hold a one-on-one meeting with Mr Azzopardi, party sources told the Times of Malta yesterday. They said Dr Delia’s team was now exploring the riskier options to get him into Parliament after none of the four Nationalist MPs elected through casual elections accepted to give up their seat and pave the way for co-option. 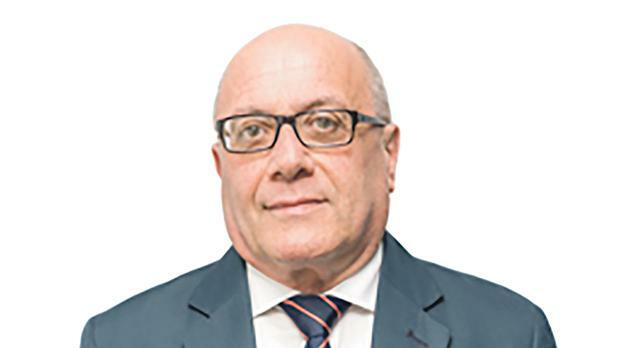 Mr Azzopardi had expressed his willingness to do “whatever was in the best interest of the party” in comments to the Times of Malta earlier this week, indicating he was ready to vacate his seat. However, since the MP was elected through the constitutional mechanism that awards extra seats to the parties, his resignation would automatically trigger a casual election. Party sources said Dr Delia was expected to meet other PN candidates on the district in a bid to secure agreement over their immediate resignation if elected in the casual election. The non-elected PN candidates are Kevin Cutajar, Joseph Ellis, Ċensu Galea, Ryan Mercieca, Maria Portelli and Jason Zammit. If none of the unelected candidates contests the casual election, Dr Delia could be co-opted to Parliament but the Democratic Party is unwilling to play ball – it has unelected candidates on all districts – and some of the Gozitan PN candidates may not be in the mood of doing Dr Delia any favours. Lawyer Joseph Ellis, a PN candidate, had opposed Dr Delia’s leadership bid and even urged him to pull out of the race when faced with allegations of money laundering derived from a London prostitution ring. The potential front runners for Mr Azzopardi’s seat, if he did resign, would be Dr Cutajar and Mr Mercieca. Sources said the Delia team would want to secure agreement with the front runners that, if elected, they would resign immediately to make way for the new leader’s co-option to the House of Representatives. In a Facebook post yesterday afternoon, Mr Mercieca said his loyalty was towards the party and urged fellow candidates not to obstruct Dr Delia’s co-option to Parliament. “For the good of the party, neither I nor my fellow candidates should be an obstacle for… our leader Adrian Delia,” he said. Before the leadership election, Dr Delia had said his co-option as an MP was no longer an issue. Efforts to persuade former Naxxar mayor Maria Deguara and former Mosta mayor Ivan Bartolo to give up their seat were rebuffed by the MPs, leaving Dr Delia with the trickiest of routes into Parliament. A casual election process normally takes one week to conclude, which gives Dr Delia a restricted timeframe if he wants to be in Parliament by October 2, when it reconvenes after the summer recess.